The Bronx Council on the Arts will be doing having a special book launch party for BRIO Award Winner Urayoán Noel this upcoming Saturday! Read below for details from BCA. (corner of St. Raymond Avenue) on Saturday, July 5, 2014, from 4:00-6:00 pm. 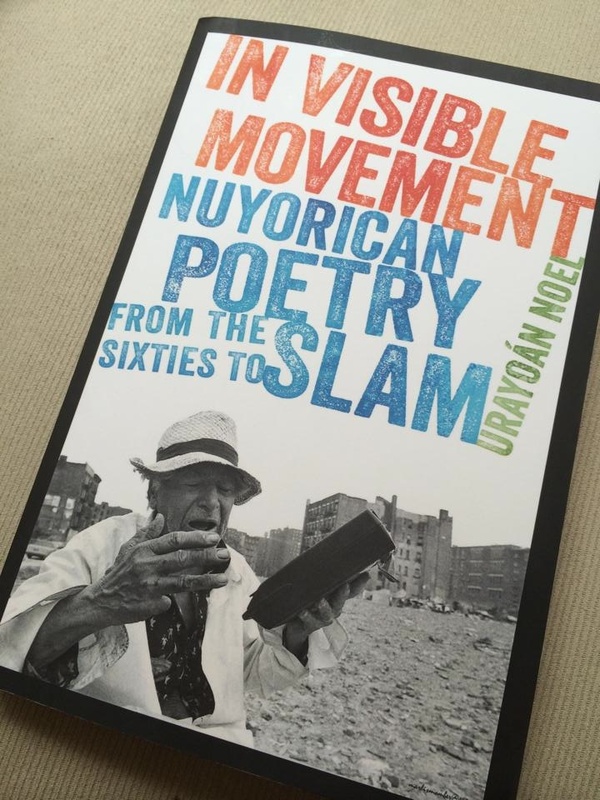 Noel will speak about his newest book, In Visible Movement: Nuyorican Poetry from the Sixties to Slam, followed by a Q&A discussion. Admission is free and all are welcome. Books will be available for purchase. “The Bronx Writers Center is honored to host Mr. Noel’s first New York City book release event for this groundbreaking study. And we will have more events as such in the future, as part of our book presentation series designed to spotlight books being published by Bronx natives and residents, as well as books about the Bronx In Visible Movement: Nuyorican Poetry from the Sixties to Slam (University of Iowa Press, 2014) is a critical analysis of the development of the Nuyorican poetry movement, from its mid-20th-century barrio roots to the contemporary global stage. 2011 BCA BRIO winner and Bronx resident Urayoán Noel is a poet, performer, scholar, translator and Assistant Professor of English and Spanish at NYU. The Bronx Writers Center supports and develops the appetite for writing and reading in the Bronx and searches for and promotes new community voices and audiences via literary and literacy programs. The Bronx Council on the Arts is a private, non-profit membership organization that is the official cultural agency of Bronx County for more than 50 years. Recognized nationally as a leading arts service organization in providing cultural services and arts programs, BCA serves a multicultural constituency of almost 1.4 million residents. BCA provides an array of services to 5,000 artists and more than 250 arts and community-based organizations. The Bronx Writers Center, a program of the Bronx Council on the Arts, is supported by the NYC Department of Cultural Affairs, Robert A. Bowne Foundation, the NYS Council on the Arts, NYC Department of Youth and Community Development, Arts Midwest, the Lambent Foundation of the Tides Foundation, and the Bronx Branches of the New York Public Library.